Amsterdam's Van Gogh Museum on Thursday launched a new app for tablets allowing users to turn "art detective" when looking at the Dutch master's paintings. The "Touch Van Gogh" app for Android and iPad tablets allows users to explore the secrets behind some of Van Gogh's best works including "The bedroom", "View from Theo's apartment" and "Daubigny's garden." "The app... uses multi-touch features that make it easy and entertaining to explore the information concealed in and under the paint," the museum said in a statement. "People can discover the secrets of Van Gogh's painting techniques and learn more about his working methods," added museum director Axel Rueger. For instance, with the swipe of a finger an old layer of varnish can be digitally removed from "The bedroom" to revealed a restored painting, or the top layer of "View from Theo's apartment" can be rubbed away to reveal how Van Gogh reused his canvasses. The app allows users to "discover how a painting looked before restoration, exactly why it was painted, where the paint has become discoloured and how the composition is constructed," the museum said. 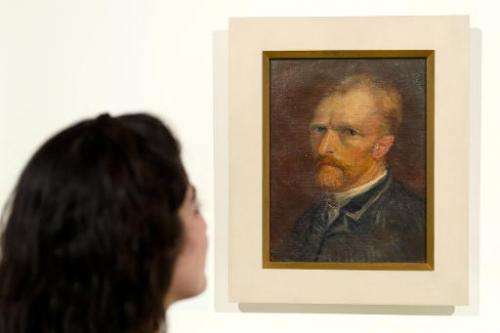 "Like a detective, users can unravel the mysteries of Vincent van Gogh's paintings at their own pace, gradually learning more about the life and work of this famous artist," it added. The Van Gogh Museum last month unveiled a long-lost painting by the Dutch master, thought for years to have been a forgery. "Sunset at Montmajour," a large oil landscape from 1888 was authenticated by experts as a genuine artwork after spending decades in a Norwegian attic. The museum reopened its doors to the public in early May with a stunning new display of some of the Dutch master's greatest works, completing a trio of renovations of the city's most famous museums. It is located on Amsterdam's historic Museumplein where many other Dutch art treasures like Rembrandt's "Night Watch" can also be found at the recently reopened Rijksmuseum.